Building a rapport with tenants using smart home technology is more than providing an online portal for them to make rental payments. Instead, you need to be developing a smart apartment that encompasses a variety of communication tools that are beneficial to both you and the tenant. In doing so, you’ll be creating a smart property that’s mutually beneficial while simultaneously allowing you to build relationships with your tenants. 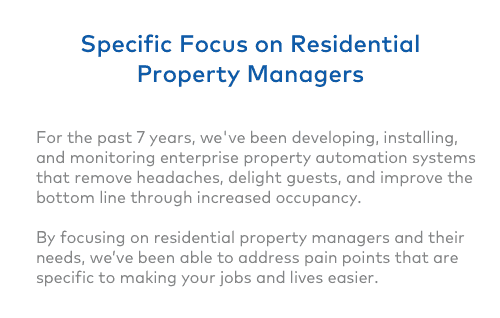 When tenants feel secure in their living spaces and know they can trust property managers or landlords to handle issues, their resident experiences are enhanced. Smart technology enhances their ability to communicate with management which, in turn, means they’ll likely remain long-term tenants. Let’s see how. You’ll find that millennials aren’t the only renters who prefer these smart property communications. Many older renters, including those who are baby boomers, are happy with smart home automation options and online rental processes. 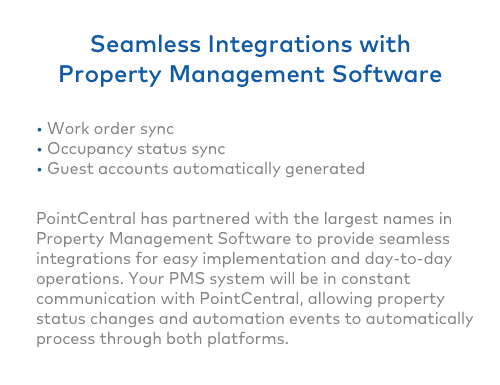 Does your smart property feature a communication portal for your tenants? If not, you’re falling behind the curve on the best way to stay in touch with you. What should the portal entail? Tenants have high expectations regarding convenient and high-quality technology. 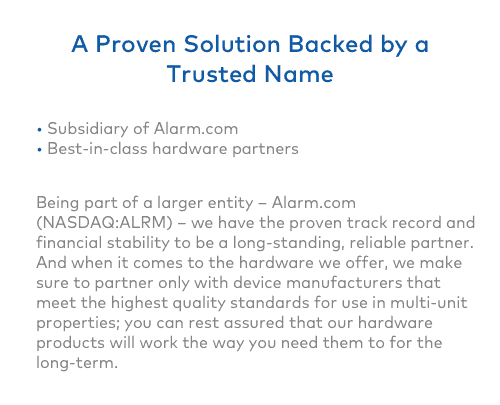 It should run seamlessly and integrate smoothly with smart security solutions you’re implementing on your property. What this means is that renters don’t want to have to figure things out for themselves. 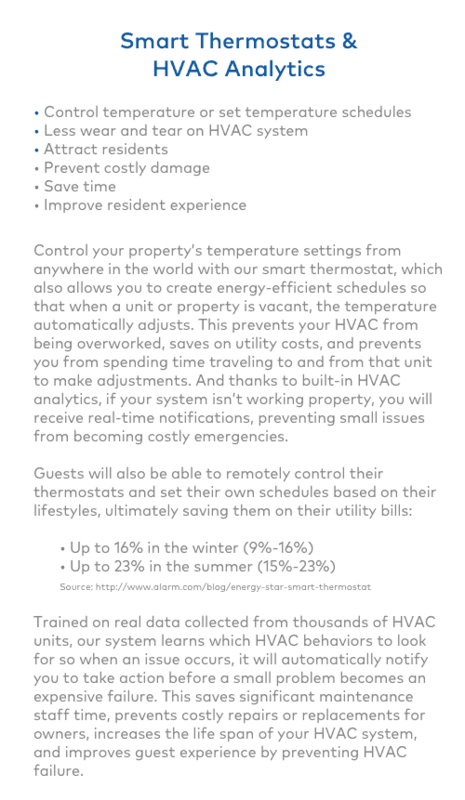 Instead, they want a smart apartment that implements true turnkey living through the integration of everything into a single platform, from their energy bill to keyless entry systems. 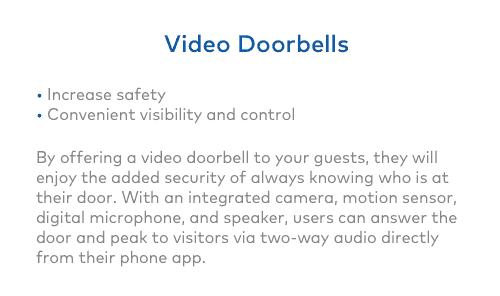 For example, there’s a smart technology app currently available through Bixby that supports multiple forms of tenant and landlord communication. Amazon’s Echo is also another popular choice. How are these beneficial to building a rapport with your tenants? 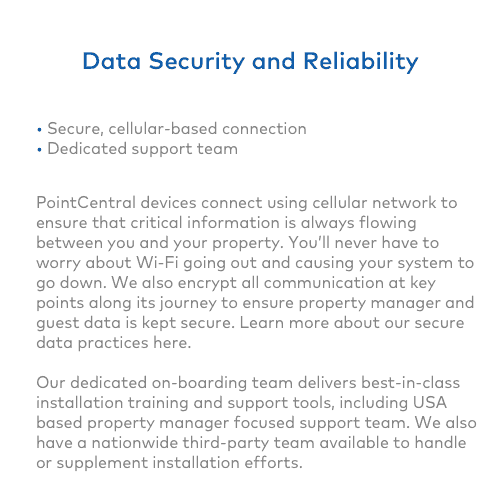 Using these hubs, or those that are similar, allows you to quickly address their needs, streamline communications and meet tenant expectations better. 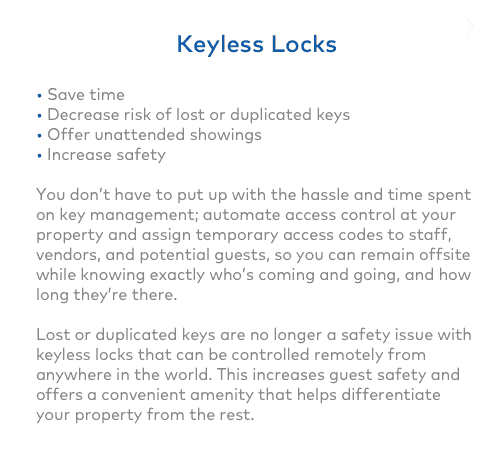 Given the many ways that tenants and management might communicate, sometimes details can get lost if they are not being tracked. Smart apartment technology helps organize communications by pushing texts, phone calls, form posts and other messages to email. This way, landlords can keep a record of what needs to be addressed and respond quickly. Jenn Greenleaf is a freelance writer from Boothbay, Maine. She’s been writing for the web since 1999 specializing in SEO, and various business-writing solutions.